Naples Housing Market: Hot and Still Growing! Naples, Florida has been the focus of remarkable growth and a hotbed of housing sales with related price increases, and more is still to come. All eyes are on this unique part of Southwest Florida, which is not only a vacation destination but has become a choice place to live. Economists report that Naples topped the list of metropolitan areas expected for economic growth next year: 4.9%. Job growth impacts housing needs, and the buzzing housing industry has created more jobs. Wages have not increased dramatically and unemployment has decreased to the 5% range. Housing inventory remains low overall with a current supply of approximately five months. Despite the resurgence of new construction which has boosted resale prices, all price ranges, especially the under $300K category, is still below needed levels. Fewer cash and investment buyers remain in the marketplace. Distress sales have shrunk and traditional buyers have stepped in despite modest gains in home prices. This may portend a more sustainable market. The buyer pool “mix” consists of the locally employed, early (purchasing before retirement) and new retirees, part time residents and homesteaded “snowbirds,” “boomerang” buyers that have re-entered the market after the required waiting period to obtain a mortgage after a distress sale, and renters who can now pay their own mortgage rather than someone else’s; increasing their own net worth. Lower property taxes, insurance rates, and no state income tax. As some of these rates rise across the country, Southwest Florida retains reasonable costs, even after the updated FEMA flood zones which has impacted a few high risk areas. The lifestyle is the larger reason for some: no heating bills to speak of, no ice or snow, the ability to enjoy the outdoors year round, and the sugar sand beaches, shopping and more…. 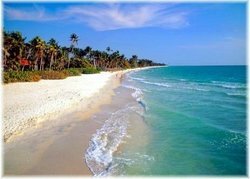 It may be time for YOU to find out what’s “hot” in Naples, Florida!